For sale is a 1985 Carvin dc150. 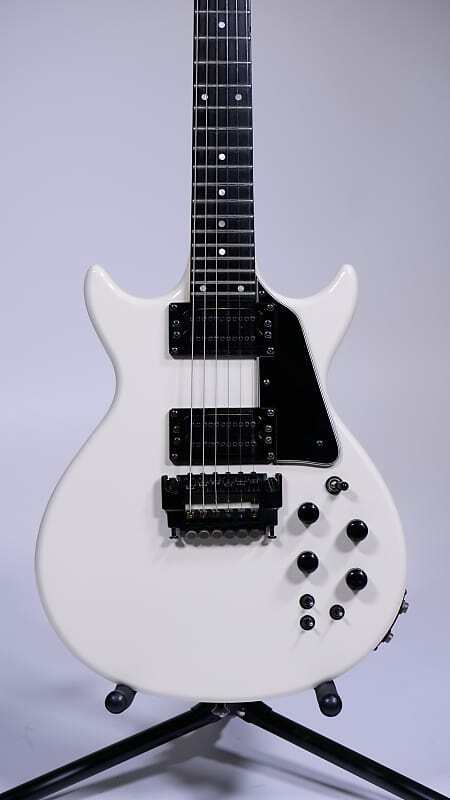 It’s equipped with two coil taps switches, a phase switch and Schaller tuners. It has two input jacks for stereo out. 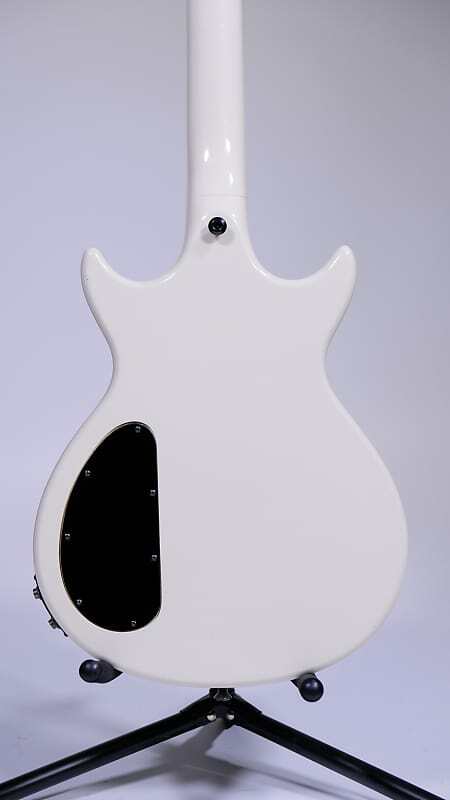 It’s a comfortable playing set neck guitar. It weighs 9LB and has seen some use. 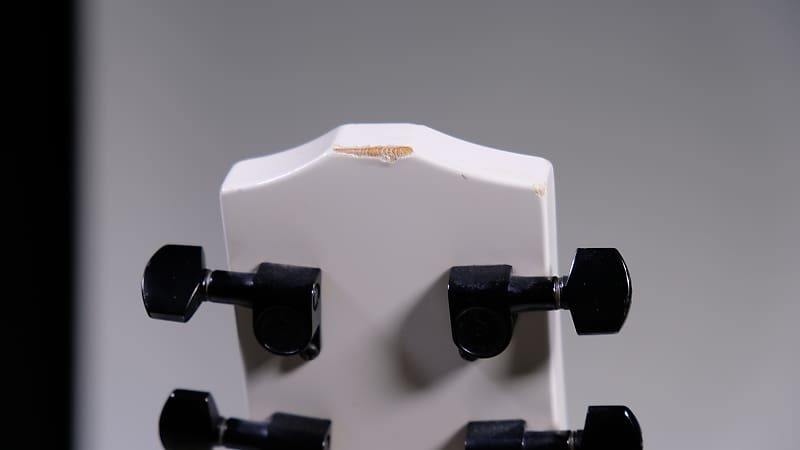 There is a crack in the finish running almost the length of the neck( Seen in photo 6 and 7) and a mark in the headstock (seen in photo 8). Other than that it’s very well maintained. Rock City Music Company is located just outside of Detroit. We strive to provide excellent service and a great experience inside and outside of our store. 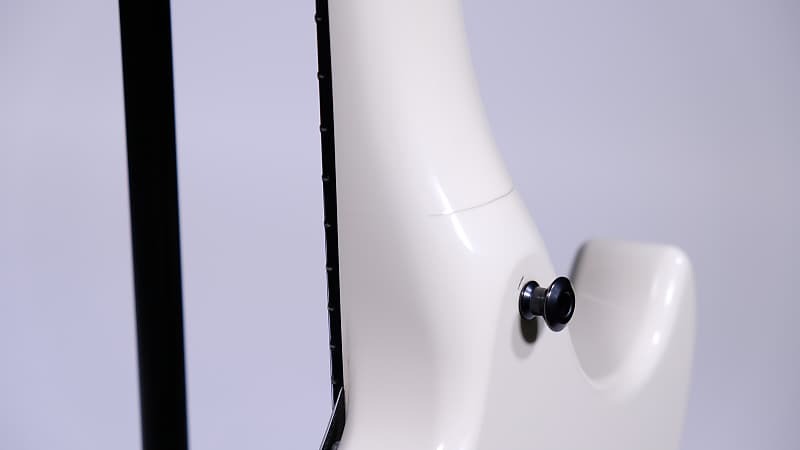 All of our guitars are maintained by our in house guitar technician who has over 40 years of experience to ensure any piece that leaves our hands is in top shape for you! We usually ship your product out the same day payment clears. Free UPS Ground shipping is included in the price of all of our products over $50. 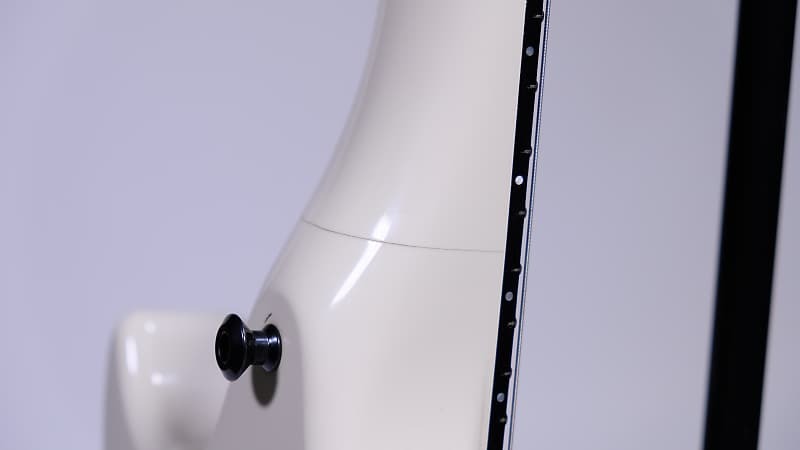 We pack your instrument to ensure that it arrives to you in the exact condition as described. Support a real brick and mortar music store that’s for players by players! Any questions? Feel free to contact us during store hours! Items will be shipped UPS Ground. All items ship the day payment is made from the hours of 11AM - 4PM EST. Items must be returned in original, as-shipped condition with all original packaging. Any accessories must also be returned in original condition. 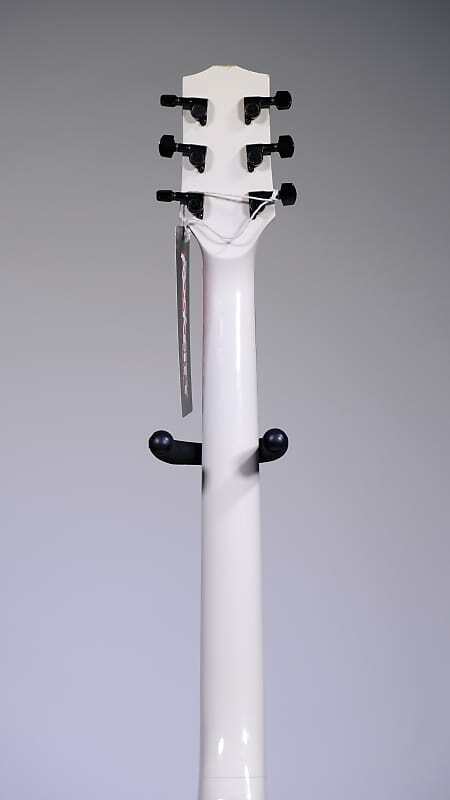 This includes Tags, manuals, protective covers etc. Buyers are responsible for all return shipping costs unless the return is due to a defective or incorrect item or it was damaged in shipping. This includes any shipping fees we incurred while initially shipping out an item. This includes any item with "FREE SHIPPING." If it actually cost us $25 to ship out an item, that cost will be deducted from the refund. The customer must pay all shipping when sending an item back to our store. A 15% restocking fee will apply to any non-defective products. This fee will be deducted from your refund. Some products are not returnable due to the consumable nature of the product, copyright reasons, or sanitary reasons. 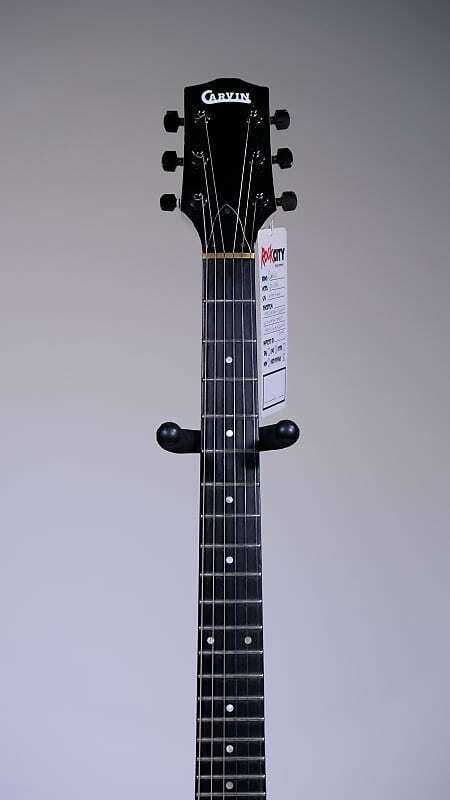 Some of the items include, but not limited to: guitar & bass strings, amplifier tubes, previously installed instrument pickups or speakers, drum heads, drum sticks, cleaning products, software, books, microphones, harmonicas, earplugs, earbuds, headphones, as well as any other products designed to come in contact with the mouth or ears. 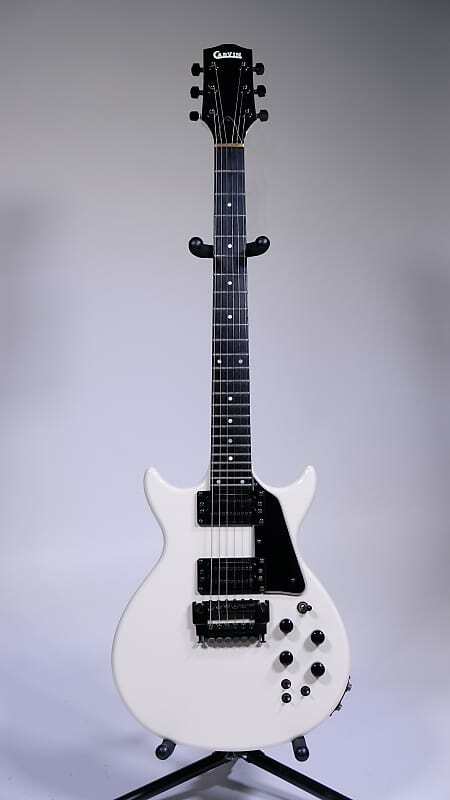 We do not consider the guitar or amp returned until we have received the item and verified it's in the same condition as shipped. With no signs of use. If you are not certain how to pack a return, please contact us for proper packing instructions. It is very important to properly pack guitars and amps to prevent damage in the unlikely event they are returned.